Uttar Pradesh Police Recruitment and Promotion Board had released the schedule for constable main written exam. Candidates can download new schedule pdf from below. UP PRPB will release the admit cards for Main Written Exam for Constable(Aarakshi aur Samkaksh) from 07 December 2014. PRPB Written test for Constable will be objective type of 300 marks consisting of 4 Parts. There will not be any negative marking in this exam. Time allowed is 3 hours. Mirzapur, Bareilly, Gautam, Buddha Nagar, Agra, Aligarh, Muradabad, Allahabad, Banda and Meerut. Check Official notice and important details regarding vanue etc. Candidates can download their hall tickets from the below given direct link. Earlier in the year 2013, UP PRPB Lucknow had invited applications for these posts. For attending the written exam, candidates need to possess admit cards which can be downloaded from the above direct link. The procedure to download is described below. Admit cards are also being sent to candidates to their respective address. Those candidates who are not able to receive their admit card through post can download duplicate admit card from UP PRPB website from 07 December 2014. 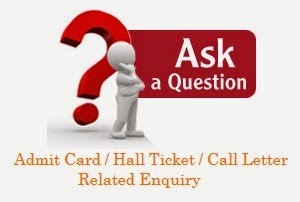 It is mandatory for the candidates to bring the hall ticket along with ID proof at the time of examination. All the details regarding the exam centre, type of exam are available at below link. Steps to download UP PRPB Admit Card 2014 for Constable Recruitment 2013. UP Police Admit Card 2014 will be displayed by the website. Candidates need to take a printout of it. All details like examination centre, date of exam etc. will be shown on the hall ticket.